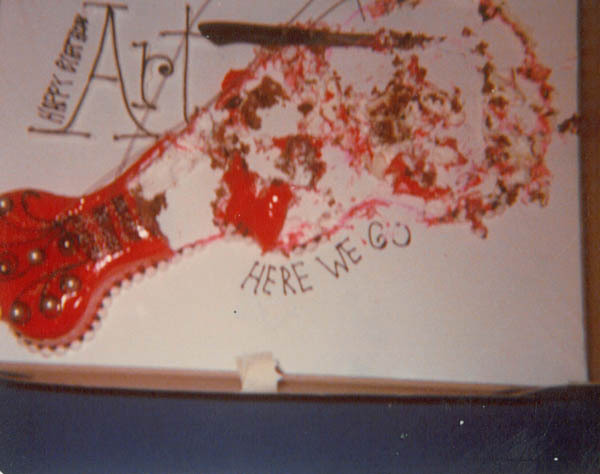 Art at 1 year old - listening for the sounds of some sort of ‘dramatic’ music. 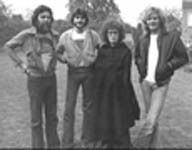 Dory Previn and band (England 1977). 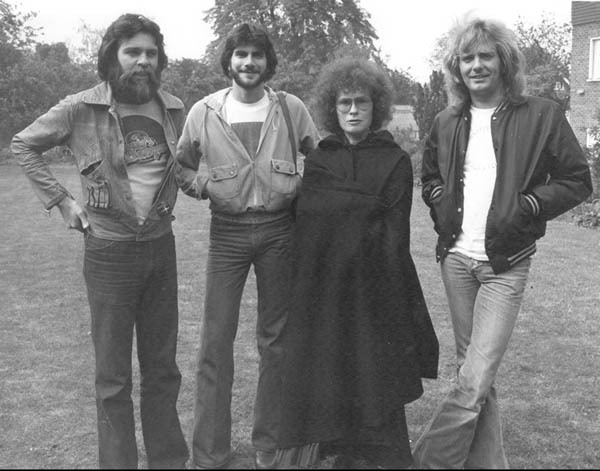 (l to r) Tom Kellock (keyboards), Art Phillips (acoustic guitars, electric guitars and mandolin), Dory Previn (recording artist), Peter Jamison (acoustic guitars and slide guru). Art in his studio (1998). 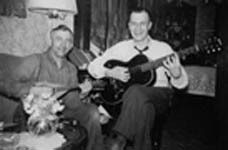 (r to l) My father, Arthur M. Phillips (guitarist), and my grandfather, Anthony Phillips (diFilippo) on mandolin in Erie, Pennsylvania (circa 1939). Anthony Phillips, aka ‘diFilippo‘ - was our original family name before he changed it when he arrived at Ellis Island, NY, immigrating from Italy in 1901. 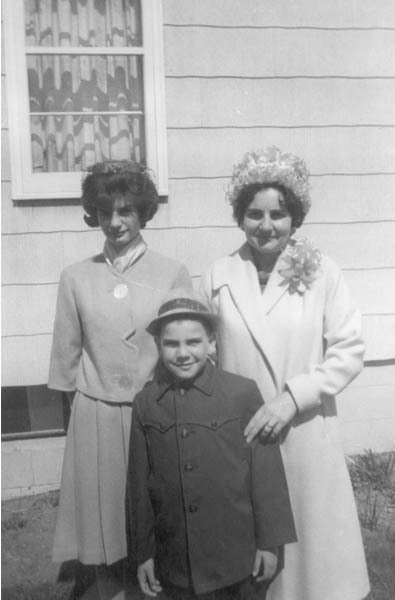 (l to r) My dear sister Charlotte, myself and my beautiful mother, Lucy - (circa 1962). 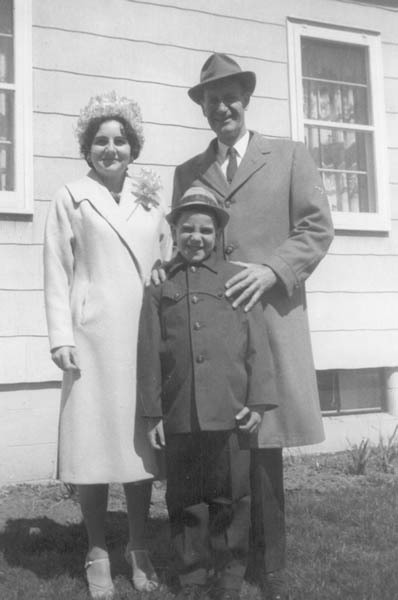 (l to r) My mother, Lucy, myself and my father, Arthur M. Phillips (circa 1962). 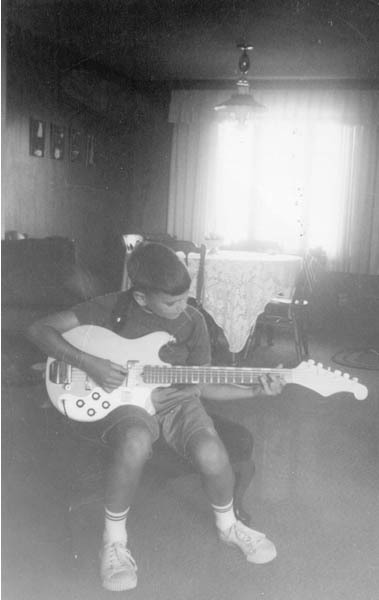 Art playing his first borrowed electric at my Aunt Marie and Uncle Joe's home in Lorain, Ohio (USA) -“ I was about 10 (circa 1965). 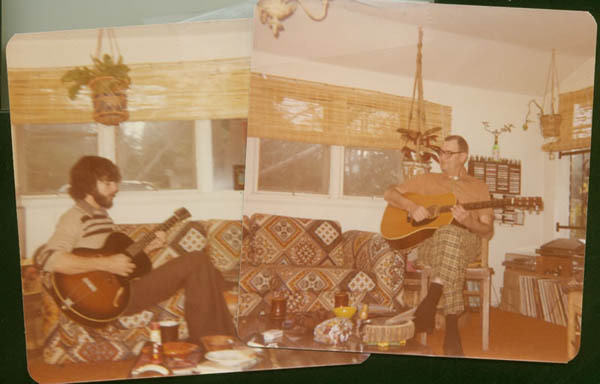 (l to r) My father, Arthur M. Phillips, guitarist and founder of ‘The Strolling Venetians’, and myself at our home in Erie, Pennsylvania USA (circa 1967). 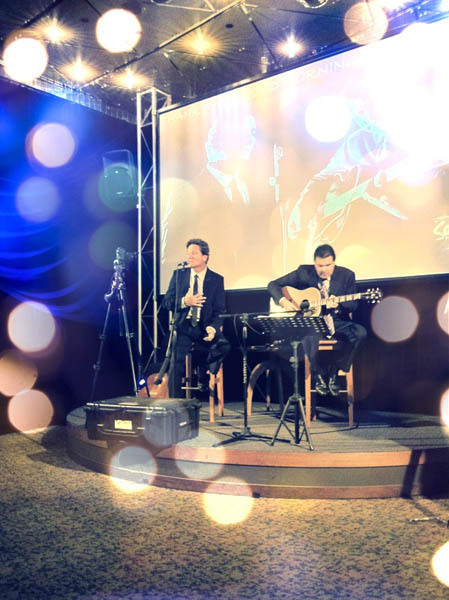 The Strolling Venetians were a renowned duo group who played at many Italian restaurants and functions in Erie and surrounding areas. 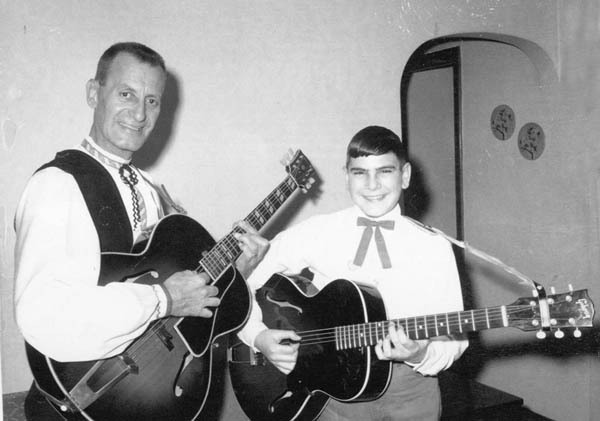 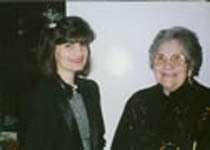 My father had various forms of the duo over the years, either being with a mandolinist, accordionist or a 2nd guitarist. 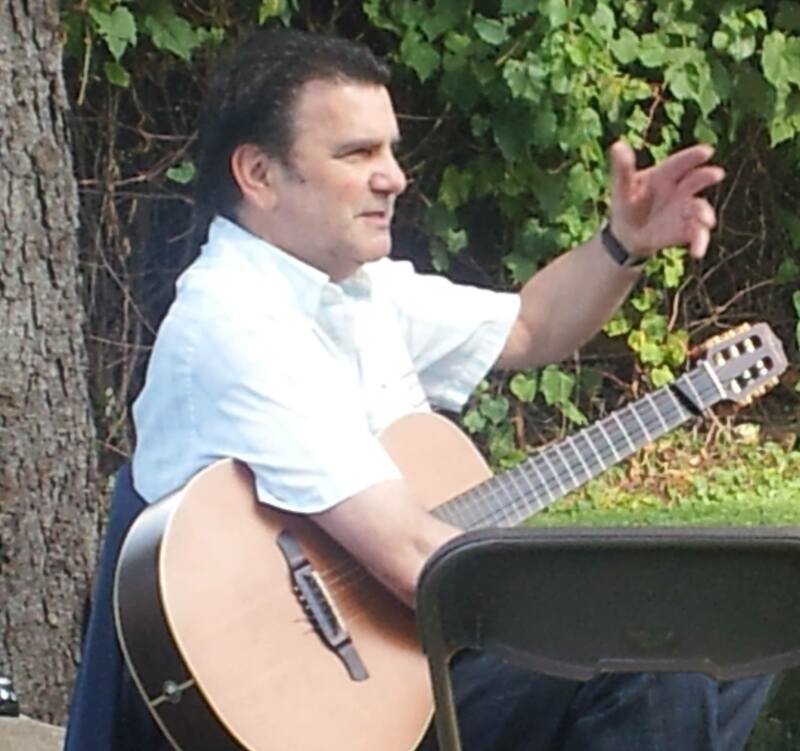 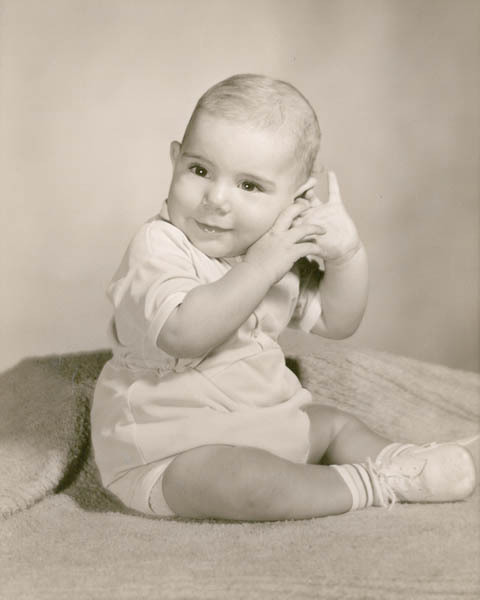 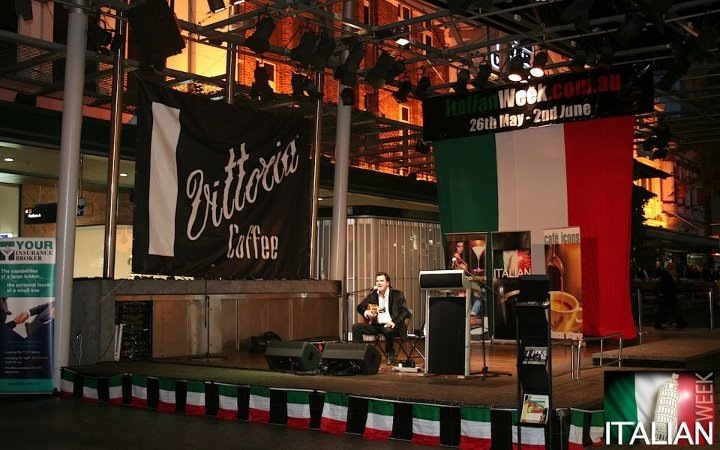 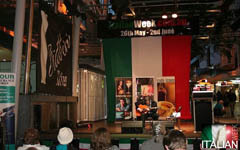 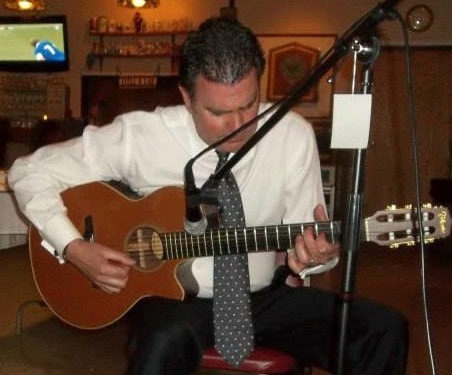 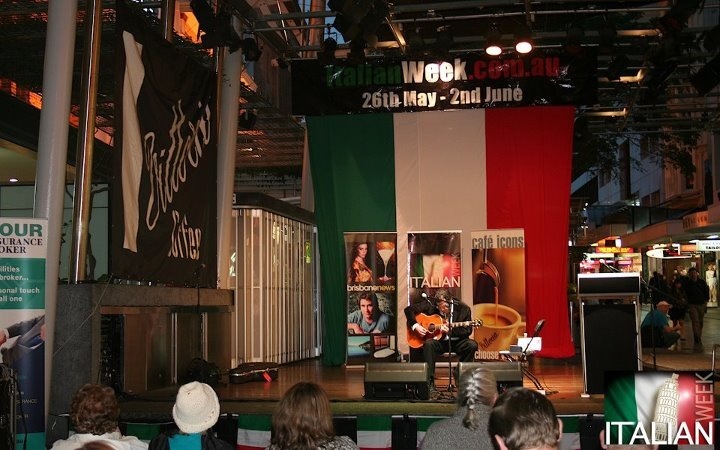 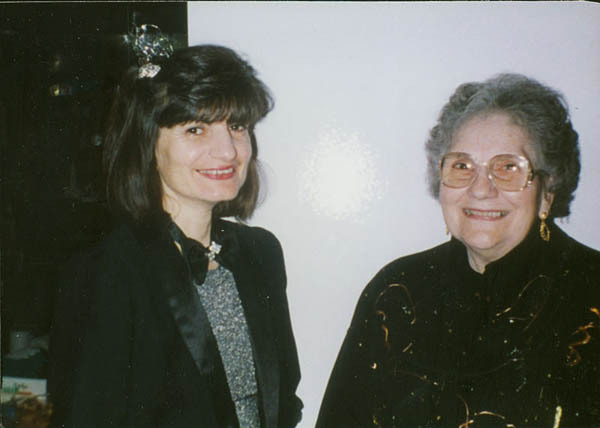 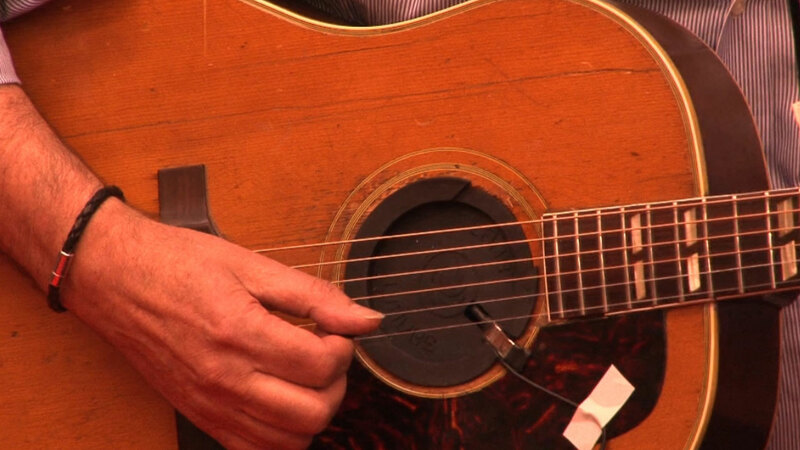 I received much of my formal training from my Dad – and also learnt some wonderful Italian musical folklore. 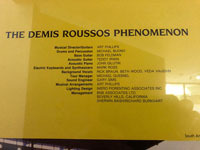 I was fortunate to have had that. (r to l) My dear father, still playing his heart out at age 82, and myself during a visit to the home town (circa 2000). 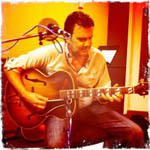 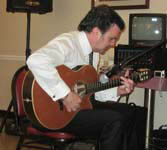 We are both playing his favourites; Gibson's L-12's. 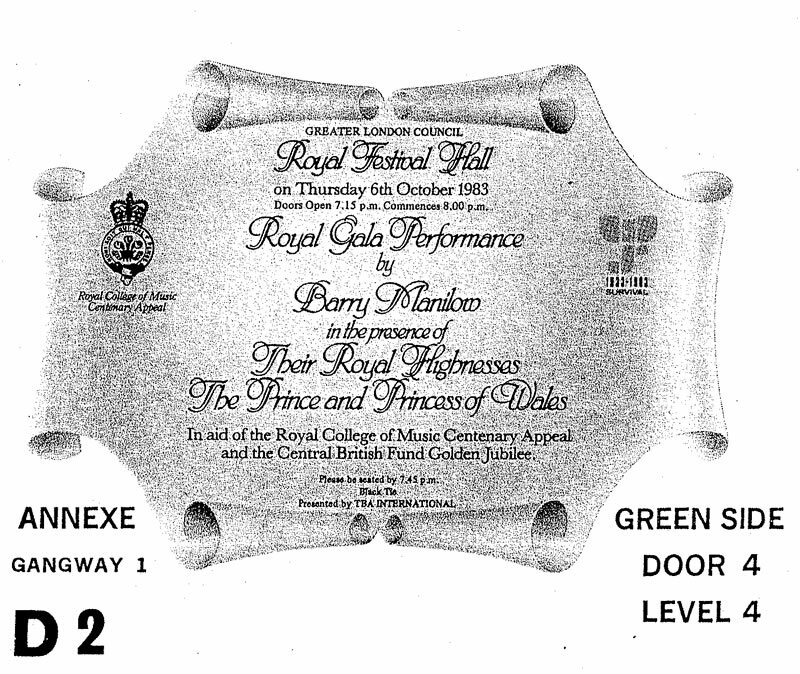 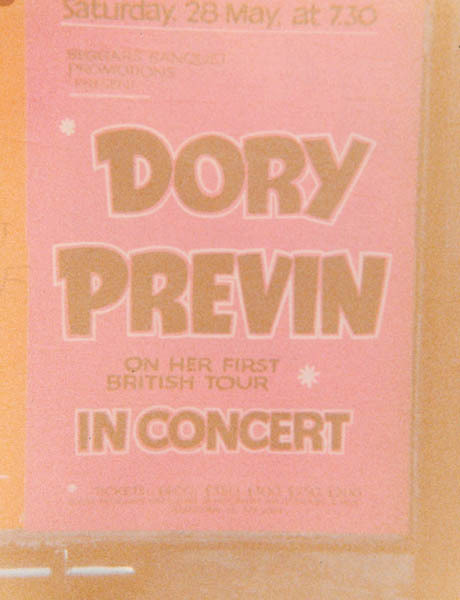 Dory Previn concert tour poster from our UK tour, 1977. 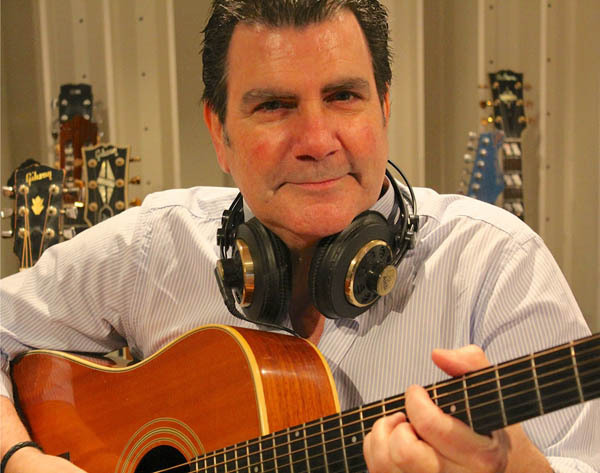 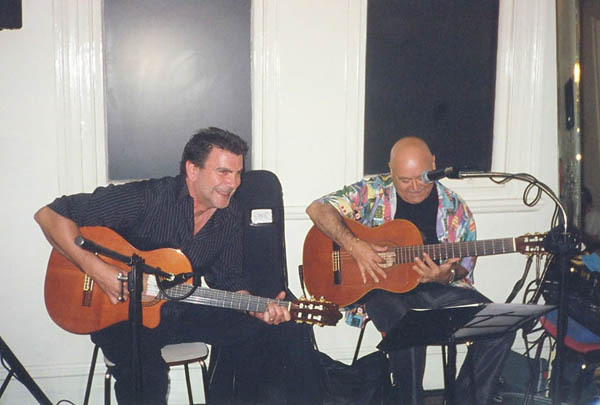 The band - Art Phillips (acoustic guitars, electric guitars and mandolin), Tom Kellock (keyboards), Peter Jamison (acoustic guitars and slide guru). 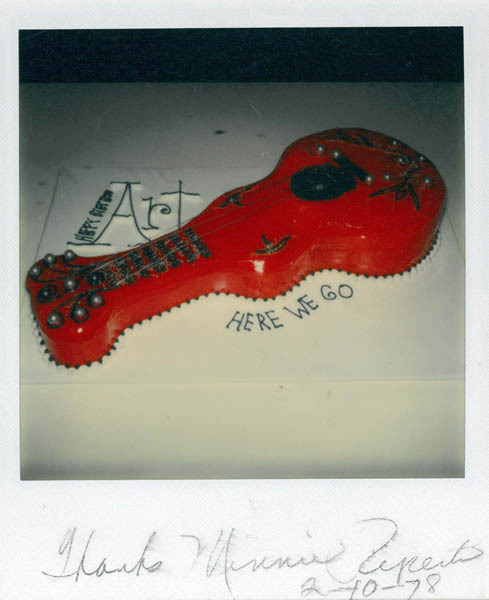 Here We Go – devoured birthday cake I received from Minnie Riperton at Wally Heider recording studios in Los Angeles, 1978. ‘Here We Go’ was Minnie’s last single that we were recording that evening (written by: Minnie Riperton, Richard Rudolph and Art Phillips). 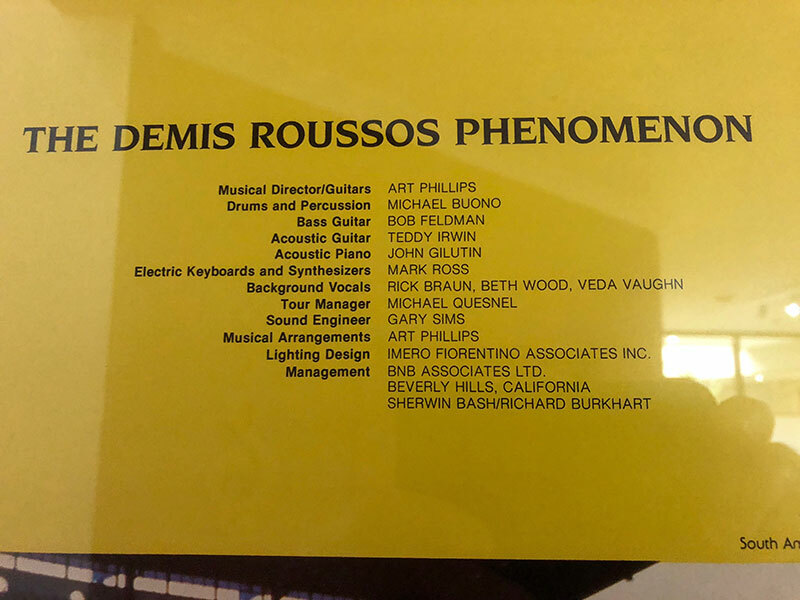 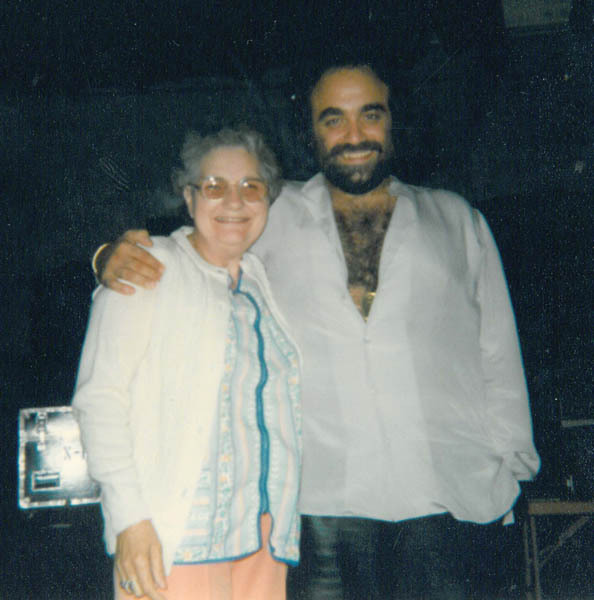 My mother, Lucy T Phillips, with Demis Roussos at rehearsal soundstage in Los Angeles during band preparations for South American tour 1980; Art as musical director, orchestrator, conductor and guitarist. 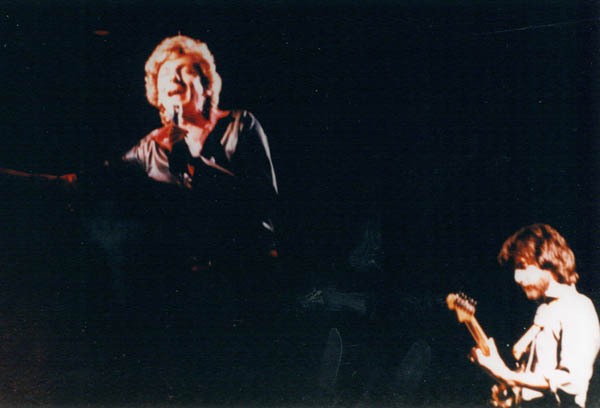 Art Phillips (guitar) in concert with Barry Manilow (1983). 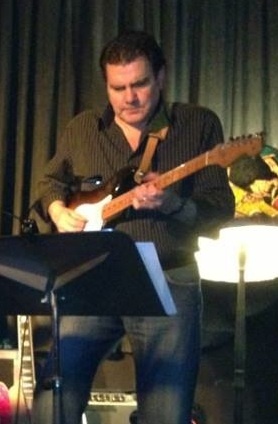 Barry mimicking my guitar solo from ‘I’m Gonna Sit Right Down And Write Myself A Letter’. 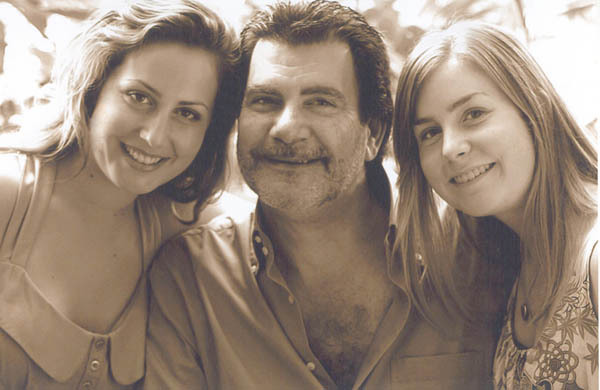 My life's treasures-¦....and my most valued accomplishments; my two beautiful daughters; Asha (far left) and Lauri (far right) - Xmas Eve 2007. 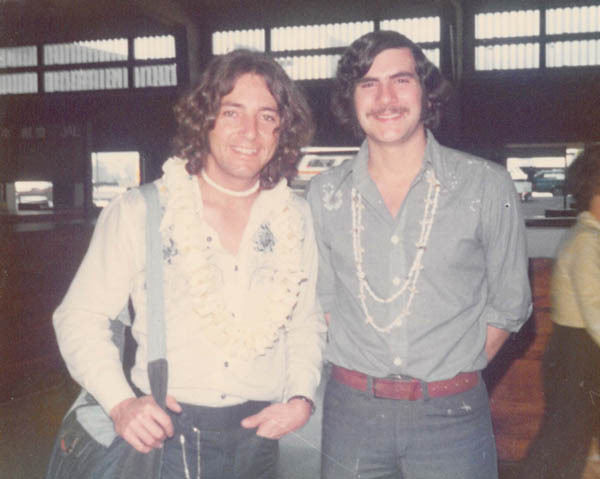 (l to r) Donny Pike, vocalist and member of The Lettermen (pop vocal group), and Art Phillips (guitarist) on conclusion of our concert tours of Japan, Hong Kong, The Philippines and Hawaii (1974) – at Honolulu airport awaiting call to gate. 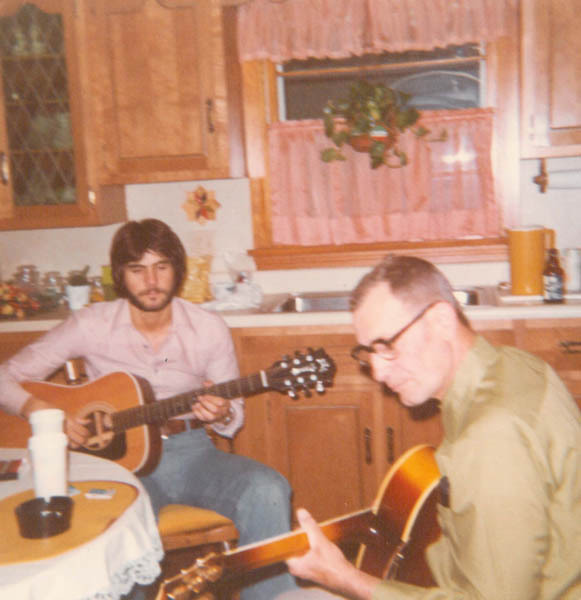 (r to l) My wonderful father, Arthur M. Phillips on guitar, in our kitchen in Erie, PA USA (circa 1979) and myself. 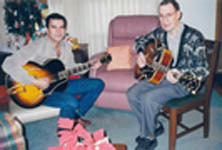 I was home for a visit from LA, and we would have our usual jam sessions ‘til the wee hours. 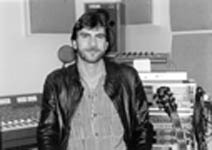 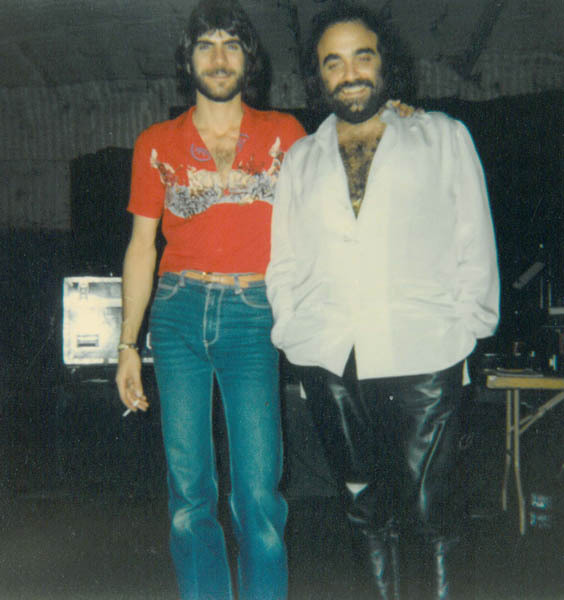 (l to r) Art Phillips (musical director) and Demis Roussos (recording artist) during rehearsals in Los Angeles for the 1981 Australian tour. 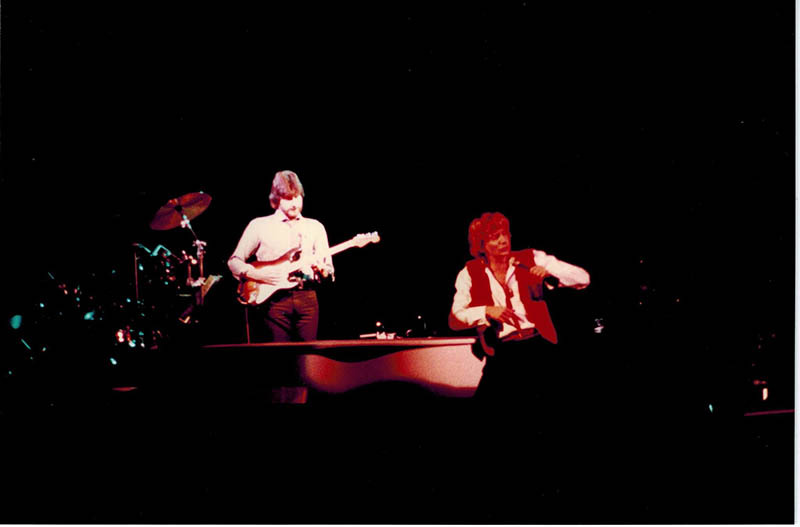 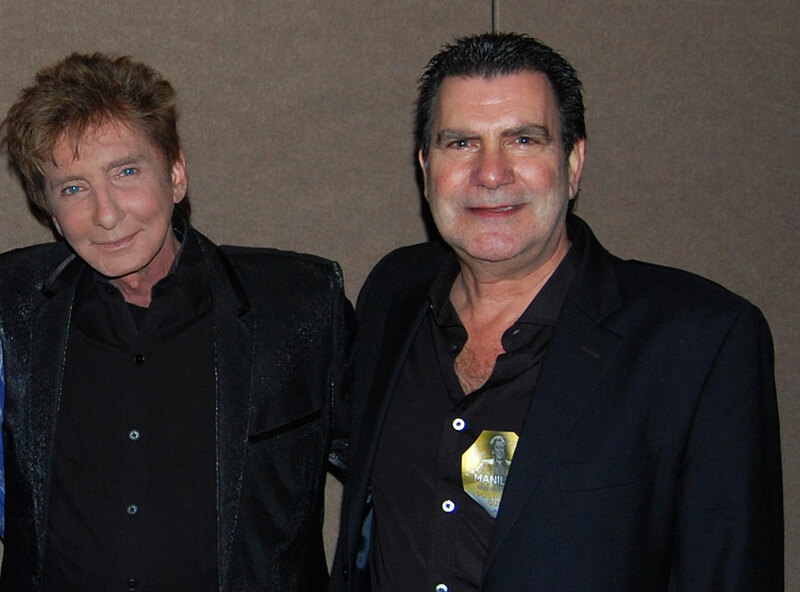 Barry Manilow in concert (1984) with Art Phillips, guitarist. 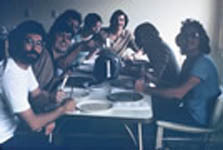 Art, at head of table, at a casual dinner with ‘The Lettermen’ and band (Las Vegas 1974). 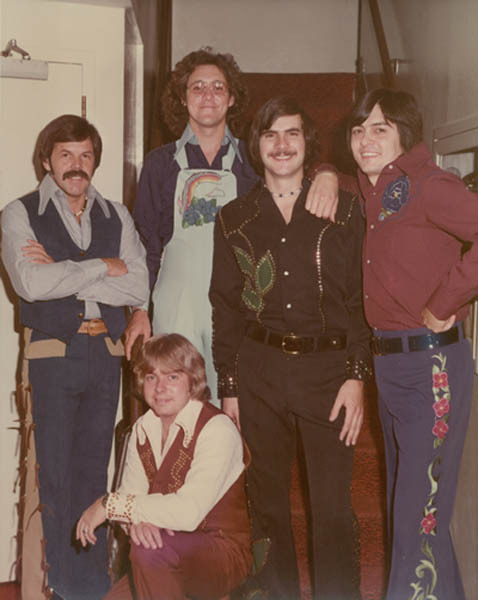 Art and band, at another exquisite private dinner with ‘The Lettermen’ (Las Vegas 1974 ). Art rehearsing in a Las Vegas hotel room before a ‘The Lettermen’ stage show at the Flamingo Hotel (1974). 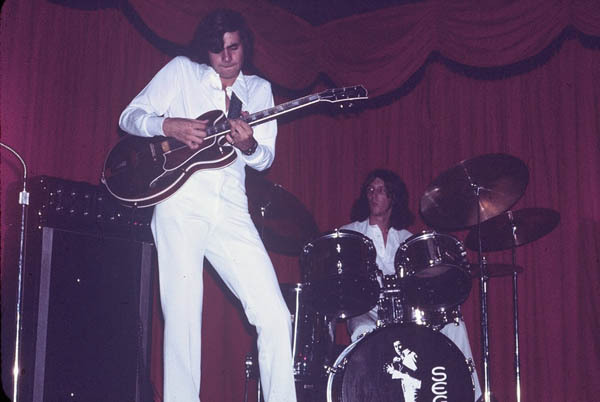 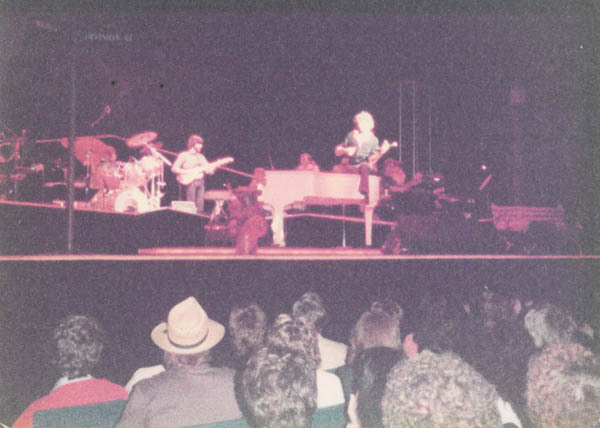 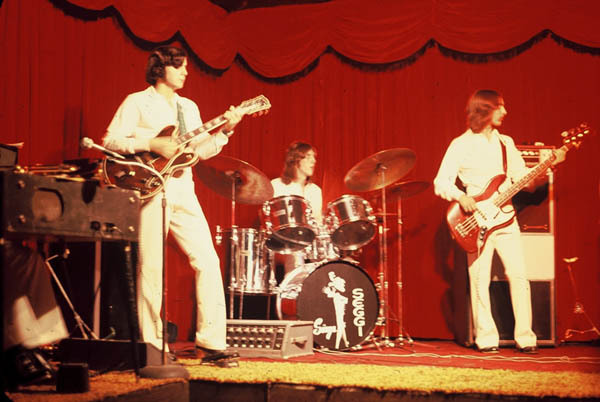 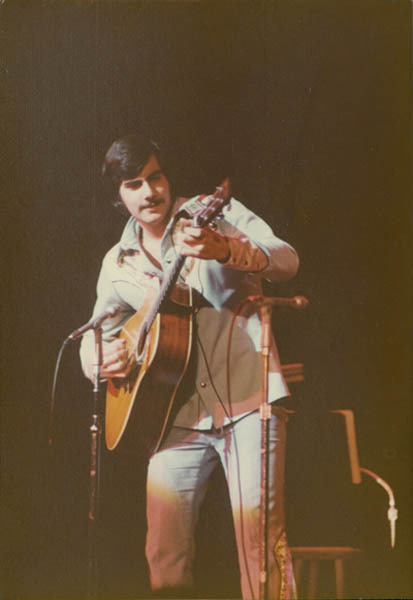 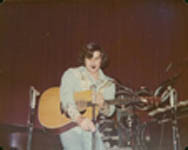 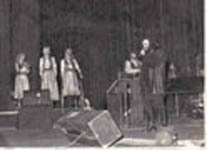 Art performing in Ithaca, New York (USA) with The Ron Seggi Show (circa 1972). 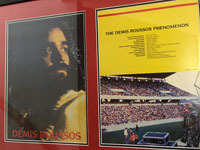 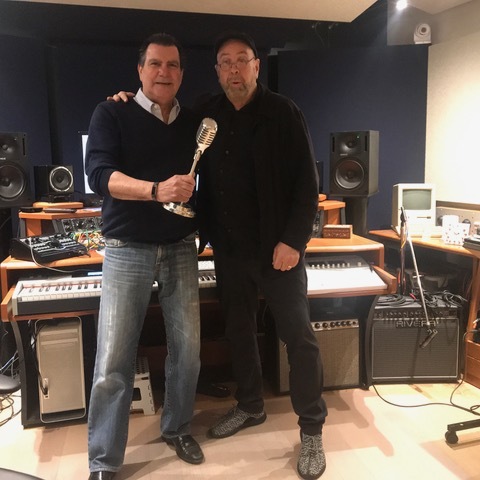 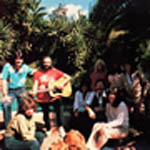 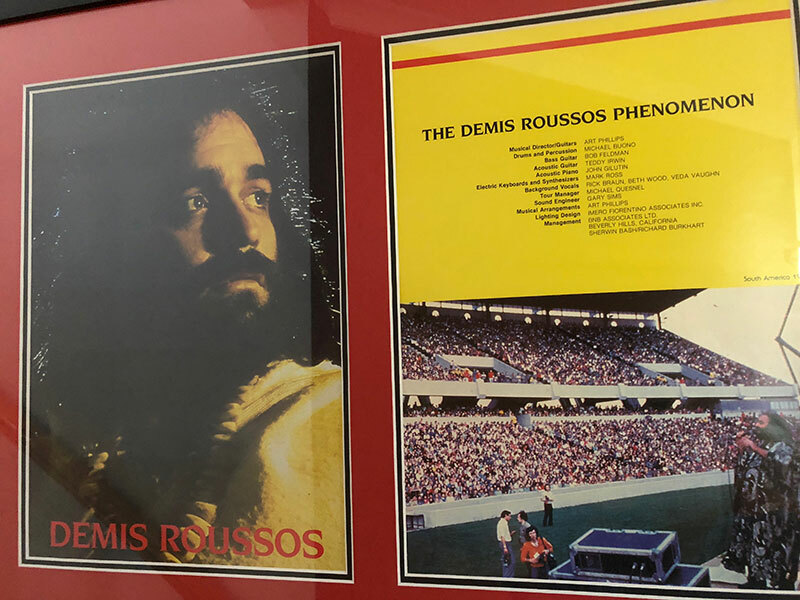 Art with Demis Roussos at LA backing vocal auditions for upcoming 1981 Australian tour. 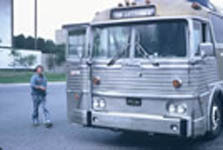 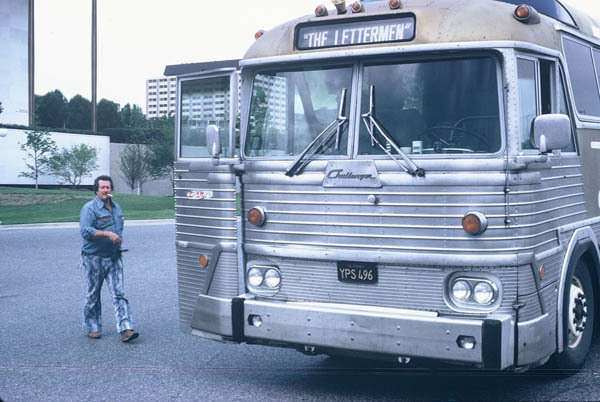 Arthur Silber, road manager for ‘The Lettermen’ (circa 1975), heading back to the bus for the next gig. 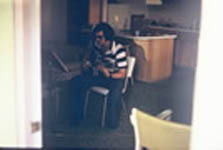 We had the real thing back then – 8 bunks, 8 closets, a dining table, TV, fridge.....but no toilet ! 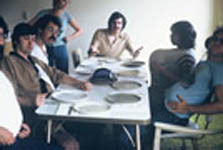 Think Arthur may have needed a quick break to empty the buckets. 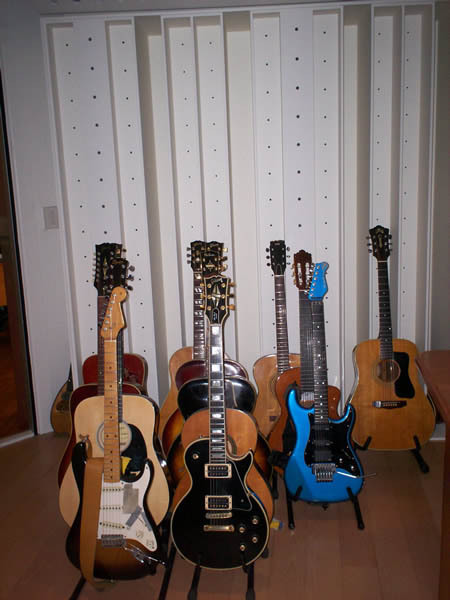 Part of my guitar collection. 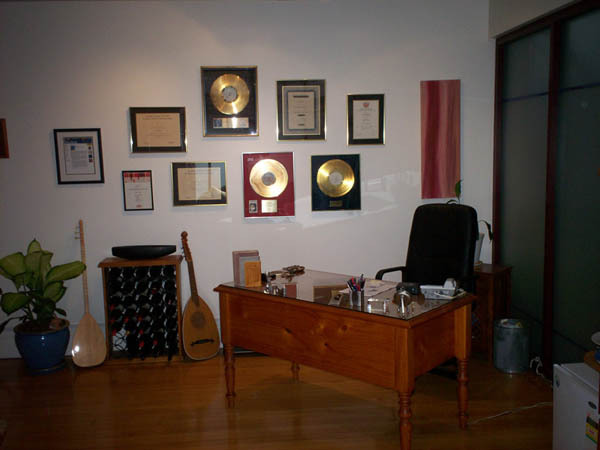 Office reception area at ART PHILLIPS MUSIC DESIGN studios. Control room at ART PHILLIPS MUSIC DESIGN studios. 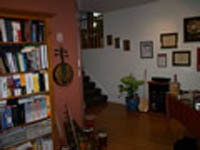 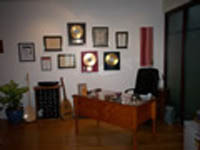 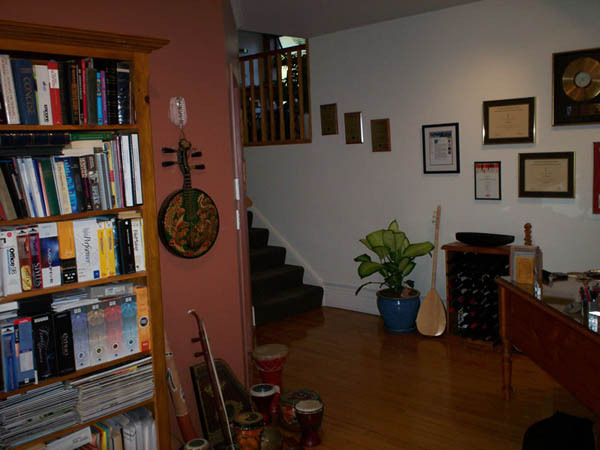 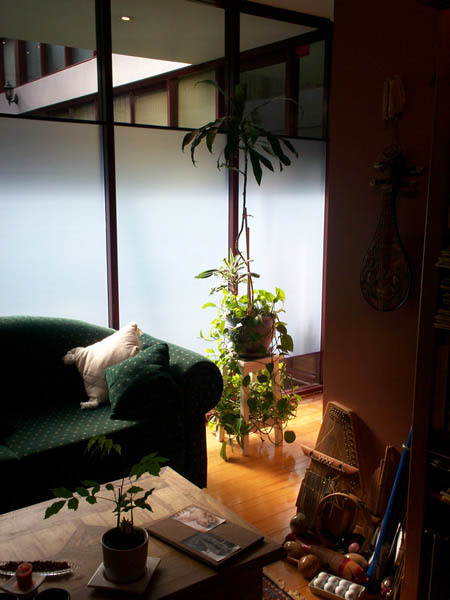 Office area at ART PHILLIPS MUSIC DESIGN studios. Art Phillips & Paul Williams (Sydney, Australia) - ‘PAUL WILLIAMS COMPOSER INTERVIEW’, interview by Art Phillips - Fox Studios (2008). 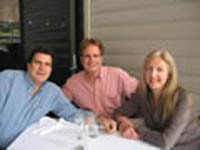 (l to r) Art Phillips; President of the ‘Australian Guild of Screen Composers’, Dan Foliart; President of ‘The Society of Composers and Lyricists’ (USA) and Michelle ODonnell, head of film and television music at APRA; enjoying lunch in Sydney on the waters edge / 2007. (l to r) Art Phillips; President of the ‘Australian Guild of Screen Composers’, Dan Foliart; President of ‘The Society of Composers and Lyricists’ (USA) and Michelle ODonnell, head of film and television APRA; enjoying lunch in Sydney on the waters edge. 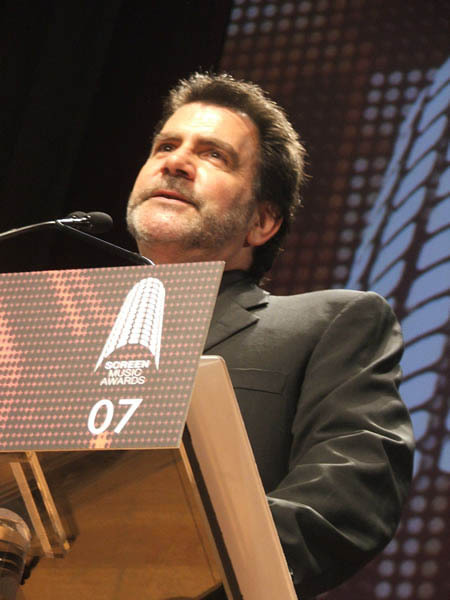 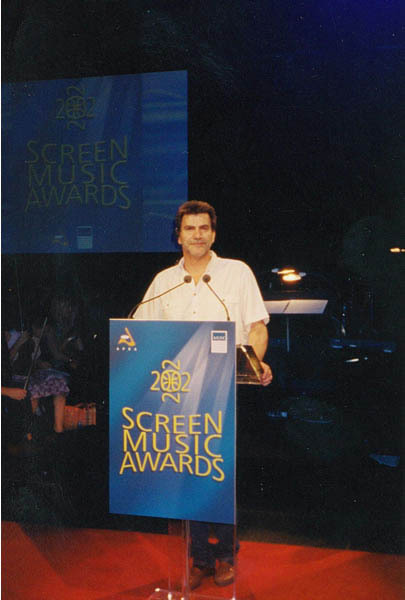 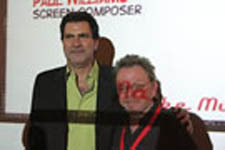 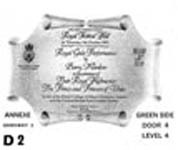 Art Phillips, President of The Australian Guild of Screen Composers / 2002 Screen Music Awards at the Hordern Pavillion, Sydney Australia. 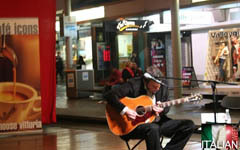 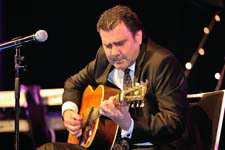 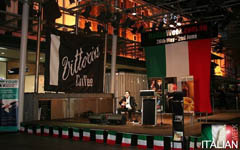 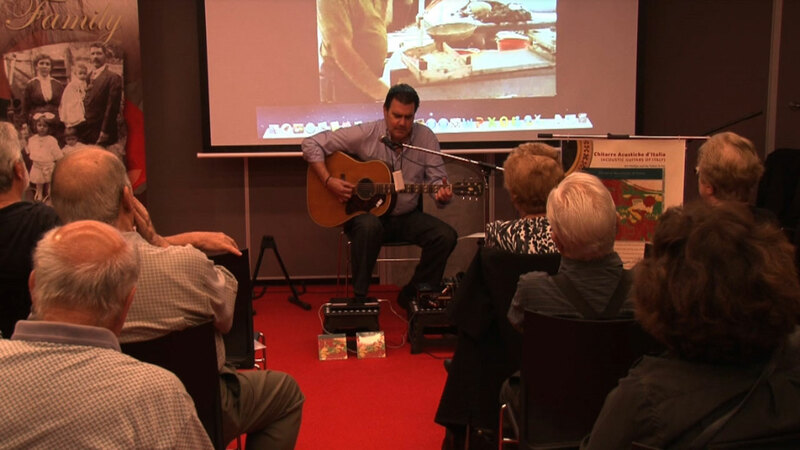 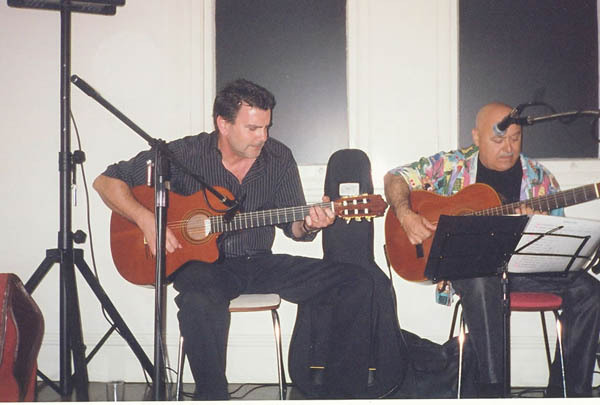 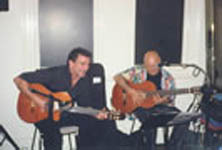 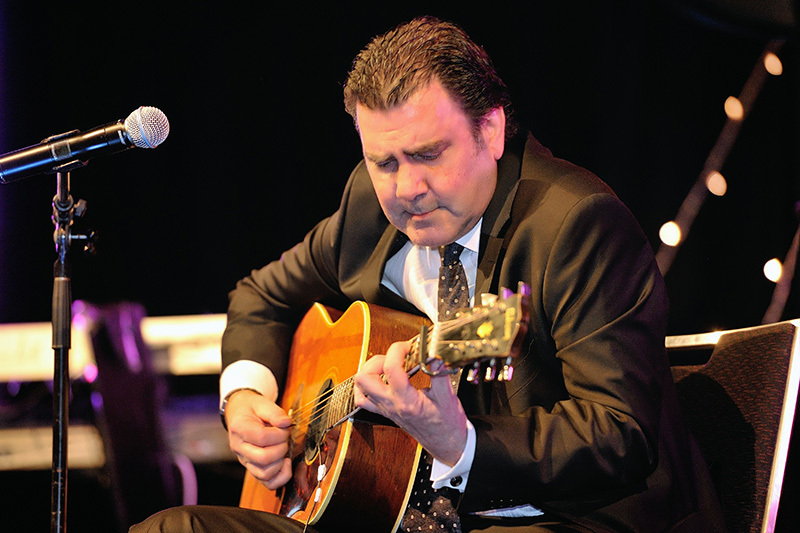 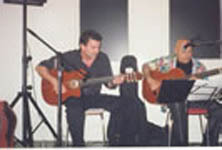 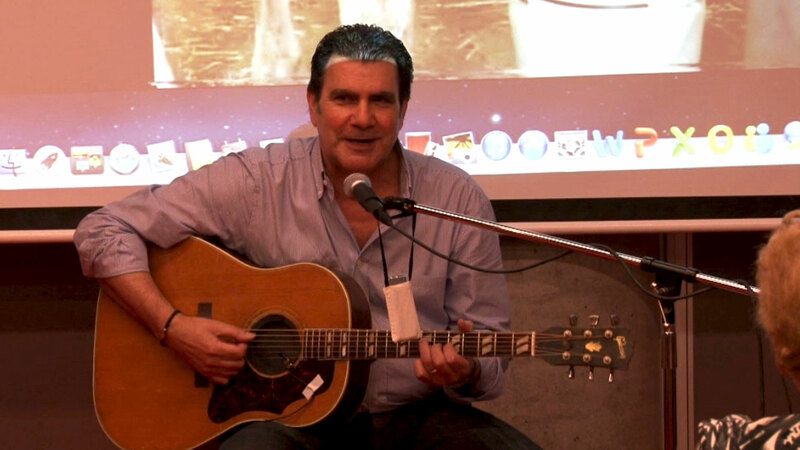 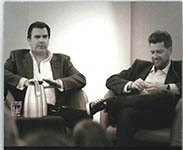 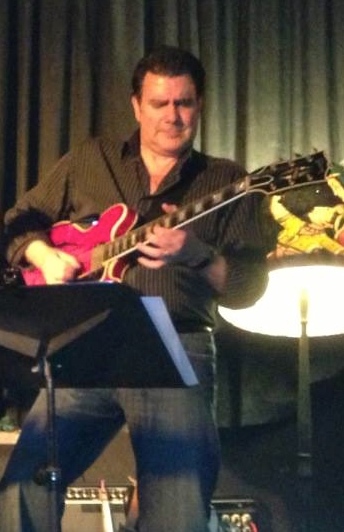 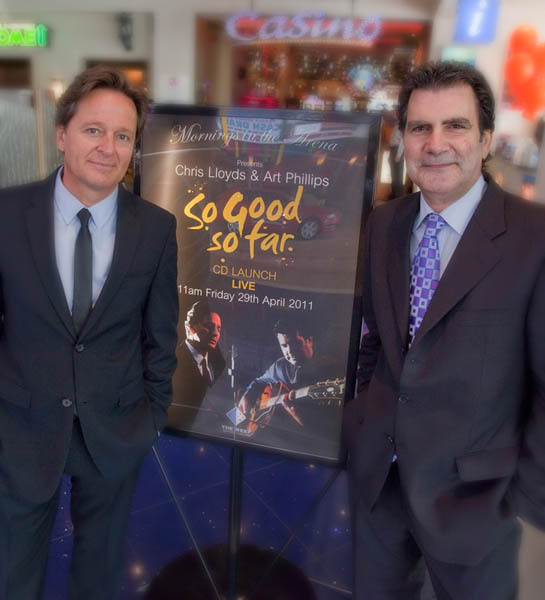 Art Phillips in concert with Jorge Campano (Sydney / 2005). 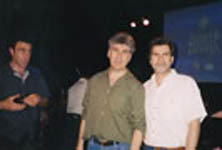 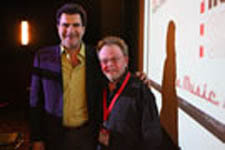 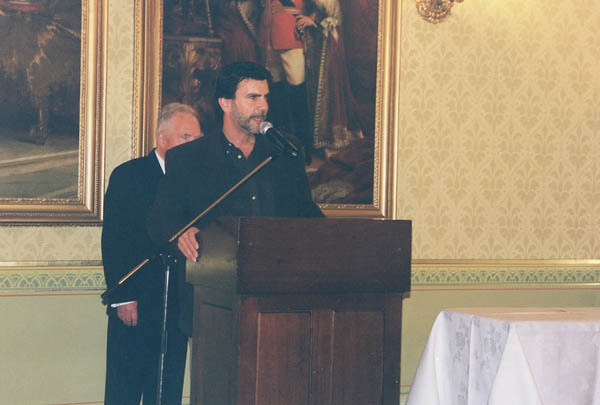 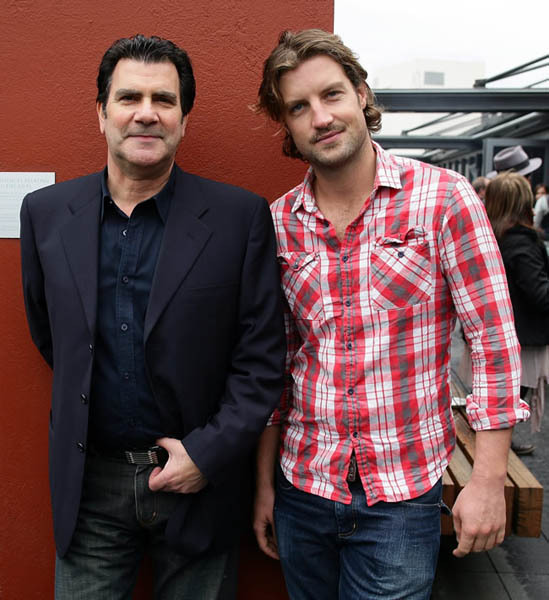 Art Phillips, at podium, at the Johnny Dennis Music Awards, with Malcolm Harrison, founding Trustee of the Awards (Sydney 2005). 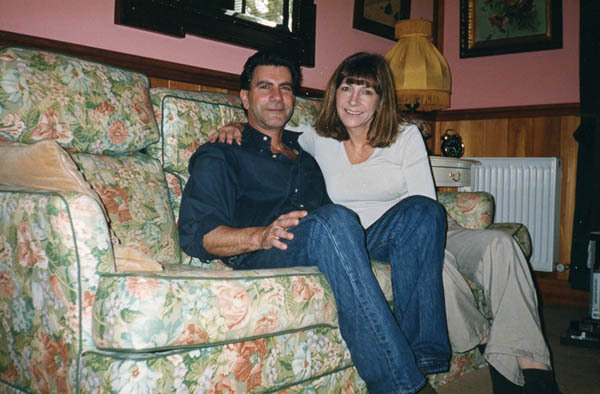 Art with his wife Susan. 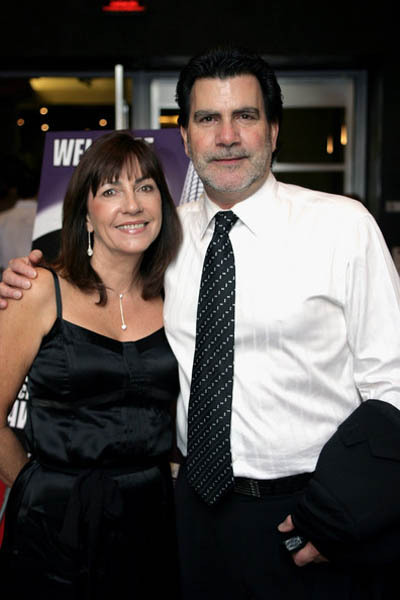 Art and Sue at the ‘2008 APRA/AGSC Screen Music Awards’. 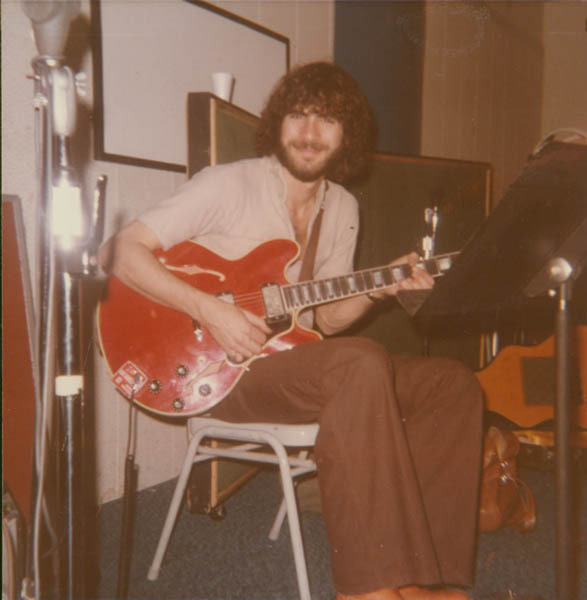 Art at a Bev Sandomeno recording session in LA (circa 1979). 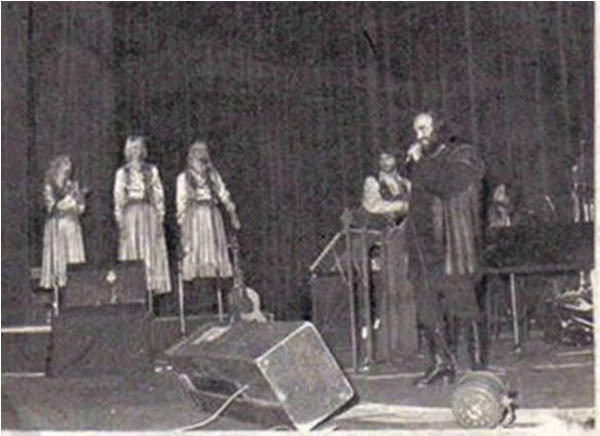 Art during rehearsals for Demis Roussos tour (1980). 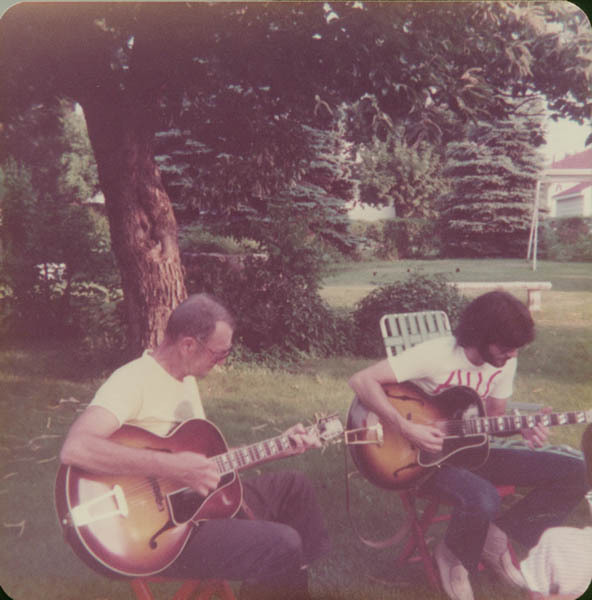 (l to r) My father, Arthur M Phillips, and myself in Grandma Phillips backyard summer picnic -“ Erie, Pa. USA (circa 1982). 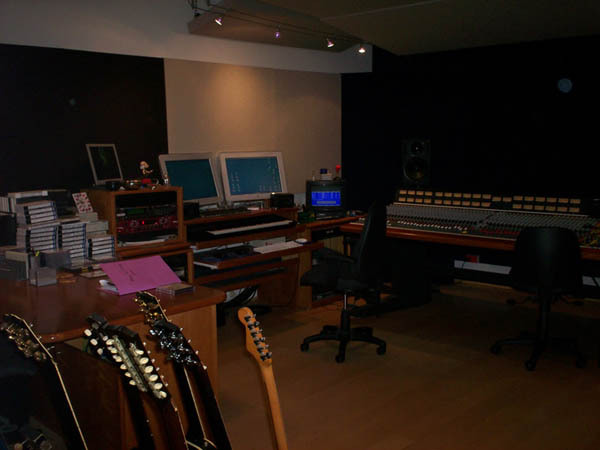 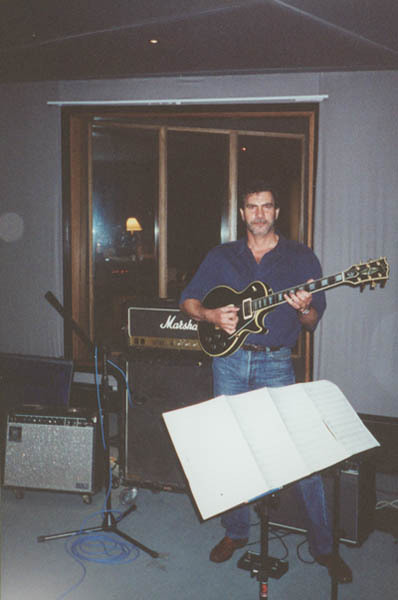 Art at Rhinoceros Recording Studios, Sydney (2001). 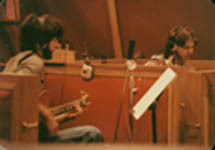 (l to r) Art and Jay Graydon (guitarists) during recording session in Los Angeles (circa 1979). 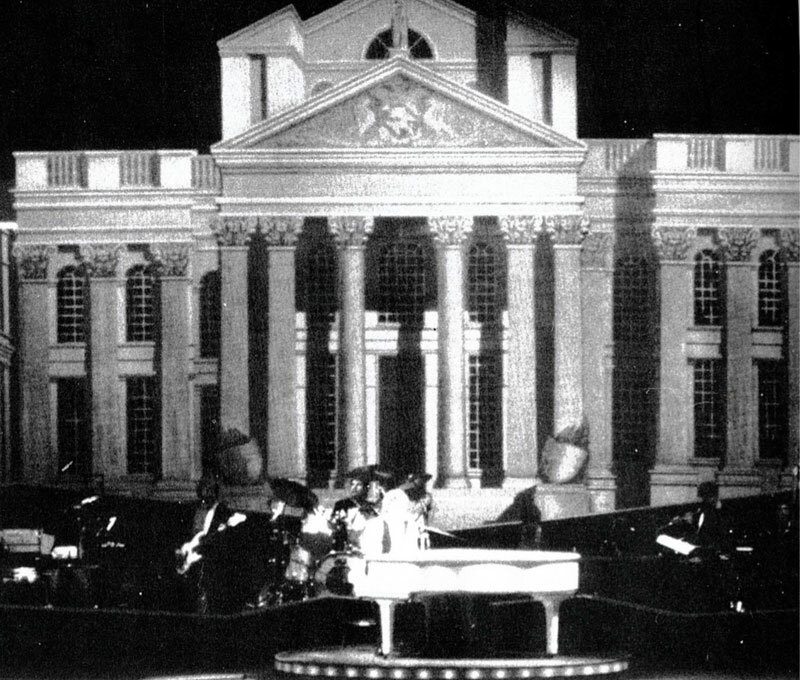 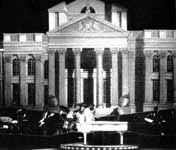 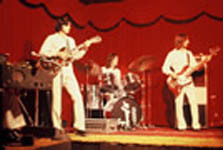 Art in performance / Lettermen concert tour - Japan (1974). 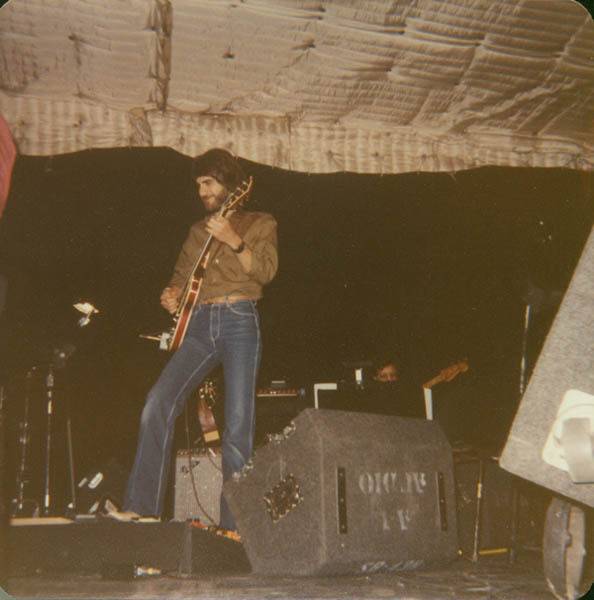 Art during solo segment / Lettermen concert tour - Japan (1974). 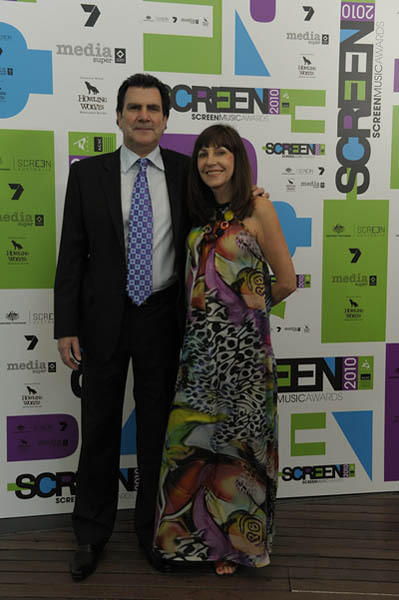 Art and Sue Phillips at the ‘2010 Screen Music Awards’ / BMW Edge -“ Melbourne Australia. 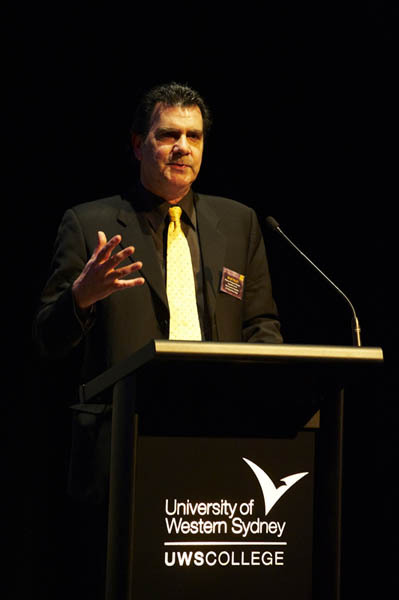 Art speaking at the launch of University of Western Sydney College ‘ASSOCIATE DEGREE IN CREATIVE INDUSTRIES’ program (Sydney) June 2011, where he is Chair of the ‘Course Advisory Committee’. 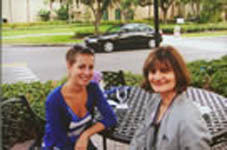 My sister, Charlotte (right) and my daughter Asha in Florida, USA (circa 2009) catching up after many years. 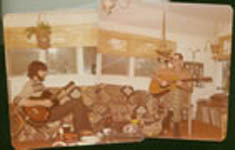 My father (right) and I in my home in Los Angeles (circa 1978) enjoying our musical moments. 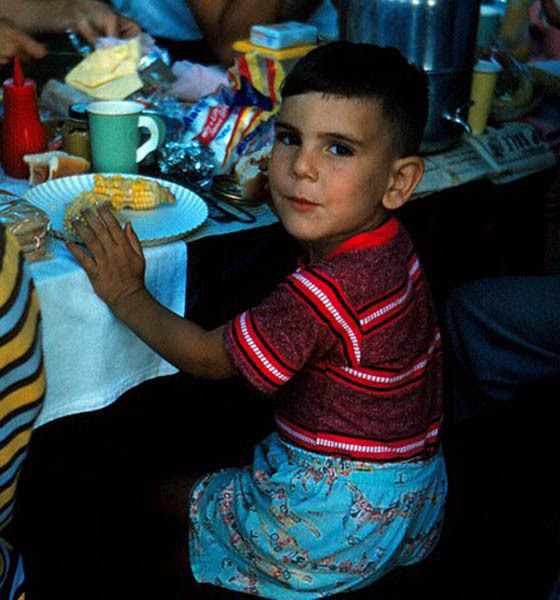 Progress verified.... (Art at a five years old) - there’s no doubt that I have learnt MUCH better dress sense since this circa 1959 photo... mamma mia ! DEMIS ROUSSOS - Buenos Aires, Argentina - 1980 tour / with Art Phillips – musical director, guitarist (behind Demis) and backing vocalists (far l- r) Veda Vaughn, ---- and Ann). 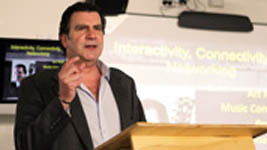 Art Phillips - guest speaker at ‘Interactivity, Connectivity and Networking’ seminar for the University of Western Sydney College at ICE (Parramatta 2012). 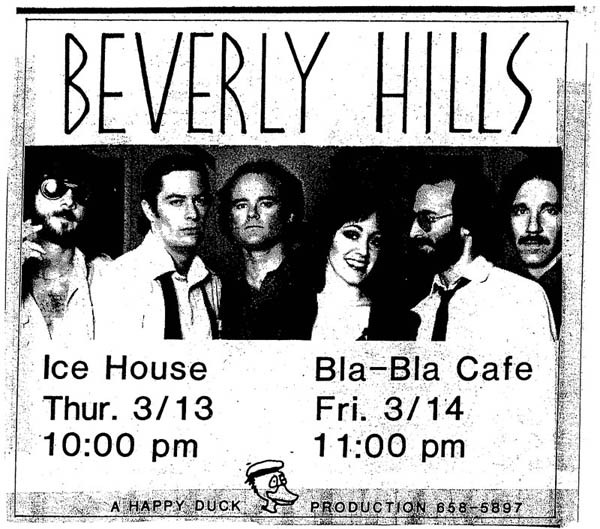 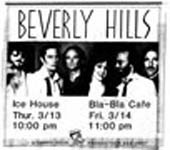 BEVERLY HILLS band (Los Angeles,1980) (l - r) Art Phillips (guitars), Vance Beach (bass), Mark Turpin (drums), Gail Lopata (vocal artist), Robbie Gillman (keyboards), Clive Lieberman (guitars).